Gerald J. Di Chiara has been a practicing attorney since October of 1976, with a concentration in Criminal Law in the Federal and State Courts. He has and continues to be involved in a number of prominent matters of public note. Regardless of the nature of the defendant, the magnitude of the case, or the location of the proceedings, Mr. Di Chiara has a well deserved reputation for vehement defense of his clients' rights through creative and innovative strategies and techniques. His past high profile cases include: The original "Pizza Connection Case", the "Bensonhurst Case", the "Colombo Crime Family War" and the "Symbol Technology Case". His Securities and White Collar Fraud cases have included the representation of Island Mortgage Network, App.Online, and other mortgage banks. He obtained a dismissal of all charges against an officer charged in the "Symbol Technology" prosecution in the Eastern District of New York. He has represented various people (Doctors to Runners) charged in "no-fault" and "medicare fraud" prosecutions in the Southern and Eastern Districts of New York. He successfully represented the person in charge of public relations and the promoting of securities (internet "pump & dump"scheme), a securities fraud prosecution, in Chicago, Illinois resulting in all securities fraud charges being dismissed against his client. He helped exonerate a then sitting legislator in a public corruption inquiry, wherein no charges were brought after the investigation. Real Estate Developer/ Lawyer NOT GUILTY - In a Public Corruption Case, on April 1, 2014, a jury aquitted his client, an attorney, of all charges, including mail and wire fraud and money laundering, in the Federal Court, Eastern District of New York. 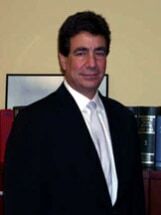 His practice has led him to represent defendants, throughout the nation: Las Vegas, Nevada (manufacturing fraudulent credit cards); Tampa, Florida (multi-million dollar money laundering charges); Mississippi (international kidnapping charges); Newark and Trenton, New Jersey; Baltimore, Maryland; Scranton and Philadelphia, Pennsylvania, and Washington, D.C. (Colombian Cartel and other major, multi-kilo, drug conspiracy charges). Of Constitutional note, Mr. Di Chiara successfully challenged the prosecution's use of race-based peremptory challenges in the case of People v. Reginald Thompson, making law in New York State years before the Supreme Court, in Batson v. Kentucky, declared such practice unconstitutional. He represented the defendant in the high profile, media intensive hate crime murder trial, People v. Fortunato, wherein the defendant presented evidence of his own sexual proclivity to refute the allegations. Fortunato was acquitted of 14 of 16 counts including the most serious charge, felony murder. Mr. Di Chiara's clientele has included celeberties, such as, Paolo Gucci and Bob Guccione. He has successfully represented bankers, attorneys, doctors, union officials, rap artists and business leaders. He is an active member of the Columbian Lawyers, and was a past president of the organization. He is also active in the Brooklyn Bar Association, serving ten terms as Chairman of the Federal Courts Committee. He has lectured at CLEs and was a guest speaker in the BBA Speakers Program. Other Bar Associations where he is active: The Federal Bar Council, Bay Ridge Lawyers, National Association of Criminal Defense Lawyers, and the NYS Association of Criminal Defense Lawyers. He is "AV" rated by Martindale-Hubble, their highest rating for ethical and professional standards.